Routt National Forest borders Steamboat Springs eight miles to the east and encompasses over one million acres of forest with many trails and sites to see. There are no entrance fees into the forest, but most of the established destinations within the park require a five dollar day-use fee. 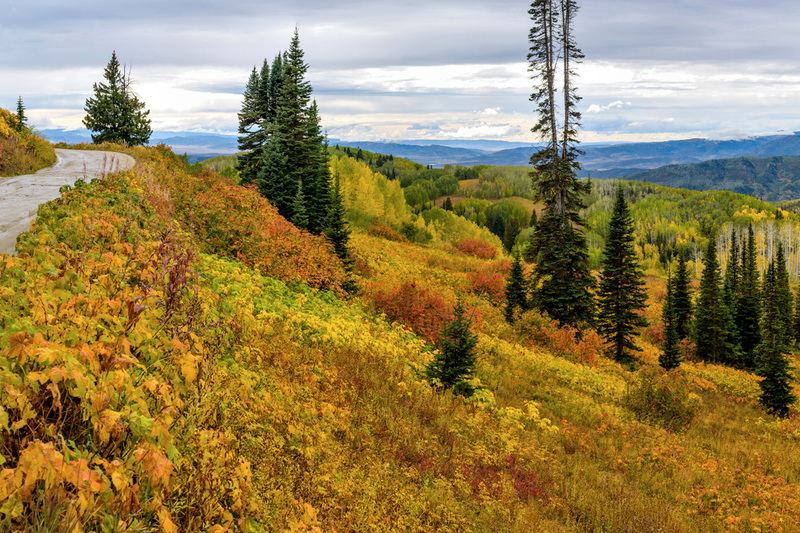 The national forest is the centerpiece of Steamboat’s natural beauty and hiking is one of the most practical ways to enjoy it on vacation. Mountain Travel Guide is a great resource for hiking opportunities and gives an exhaustive list of all 132 trails in the forest. Here is information on two of the most scenic spots within the forest. Fish Creek Falls, one of the most beautiful natural landmarks in the park, is a 280-foot waterfall with two trailheads leading to it from the parking lot. Trails range from one-fourth mile in length to three and a half miles which make for leisurely, low-intensity hikes with ample gratification once your party reaches the falls. And to the delight of ice climbers, Fish Creek Falls freezes into a giant ice wall during the winter months. Directions from Steamboat Springs: Drive along US 40 West (Lincoln Avenue), turn right at 3rd Street, turn right once more on Fish Creek Falls, and continue for three miles. Hahns Peak Lake provides more hiking opportunities with Rabbit Ears Trail and plentiful fishing spots along the lake shores. Snowmobiling, snowshoeing, and cross-country skiing (an eleven-mile ski trail skirts along the nearby campground) are all popular winter sports for the land around Hans Peak Lake. Directions from Steamboat Springs: Take US-40 west for 1.2 miles. Go north on Routt County Road 129 for 28 miles, and then take Forest Road 486 west for two miles.